Match ends, Sevilla 1, Athletic Club 0. Second Half ends, Sevilla 1, Athletic Club 0. Offside, Sevilla. Vicente Iborra tries a through ball, but Wissam Ben Yedder is caught offside. Hand ball by Walter Montoya (Sevilla). Matías Kranevitter (Sevilla) is shown the yellow card. Etxeita (Athletic Club) is shown the yellow card. Attempt blocked. Saborit (Athletic Club) header from the centre of the box is blocked. Assisted by Markel Susaeta. Raul García (Athletic Club) wins a free kick in the attacking half. Foul by Walter Montoya (Sevilla). Corner, Athletic Club. Conceded by Gabriel Mercado. Substitution, Athletic Club. Asier Villalibre replaces Muniain. Samir Nasri (Sevilla) is shown the yellow card. Corner, Sevilla. Conceded by Saborit. Corner, Sevilla. Conceded by Etxeita. Attempt blocked. Samir Nasri (Sevilla) right footed shot from outside the box is blocked. Assisted by Franco Vázquez. Attempt blocked. Wissam Ben Yedder (Sevilla) left footed shot from the left side of the box is blocked. Assisted by Sergio Escudero. Substitution, Sevilla. Wissam Ben Yedder replaces Stevan Jovetic. Substitution, Sevilla. Walter Montoya replaces Luciano Vietto. Corner, Athletic Club. Conceded by Sergio Rico. Corner, Athletic Club. Conceded by Vicente Iborra. Attempt saved. Raul García (Athletic Club) header from the centre of the box is saved in the top left corner. Assisted by Mikel San José with a cross. Corner, Athletic Club. Conceded by Matías Kranevitter. Samir Nasri (Sevilla) wins a free kick in the attacking half. Dangerous play by Mikel San José (Athletic Club). Mariano (Sevilla) is shown the yellow card. Attempt missed. Yeray Álvarez (Athletic Club) header from very close range is just a bit too high. Assisted by Mikel San José with a headed pass following a corner. Attempt blocked. Mikel San José (Athletic Club) header from the centre of the box is blocked. Assisted by Iturraspe with a cross. Substitution, Athletic Club. Markel Susaeta replaces Eneko Bóveda. Corner, Athletic Club. Conceded by Adil Rami. Eneko Bóveda (Athletic Club) wins a free kick in the attacking half. Attempt missed. 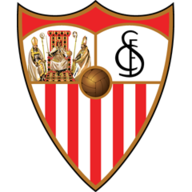 Luciano Vietto (Sevilla) header from the centre of the box is too high. Assisted by Gabriel Mercado following a set piece situation. Attempt missed. Franco Vázquez (Sevilla) left footed shot from outside the box misses to the right following a set piece situation. Stevan Jovetic (Sevilla) wins a free kick on the right wing. Substitution, Sevilla. Franco Vázquez replaces Joaquín Correa. Attempt saved. Mikel San José (Athletic Club) header from the centre of the box is saved in the centre of the goal. Assisted by Íñigo Lekue with a cross. 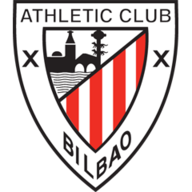 Substitution, Athletic Club. Iturraspe replaces Beñat Etxebarria. Attempt saved. Raul García (Athletic Club) right footed shot from outside the box is saved in the top right corner. Assisted by Mikel San José. Attempt missed. Raul García (Athletic Club) right footed shot from more than 40 yards on the right wing misses to the left. Assisted by Mikel San José. Attempt missed. Vicente Iborra (Sevilla) right footed shot from outside the box is too high. Assisted by Luciano Vietto. Stevan Jovetic (Sevilla) wins a free kick on the left wing. Attempt missed. Raul García (Athletic Club) right footed shot from outside the box is just a bit too high. Assisted by Beñat Etxebarria. Attempt blocked. Stevan Jovetic (Sevilla) right footed shot from outside the box is blocked. Assisted by Luciano Vietto. Corner, Sevilla. Conceded by Eneko Bóveda. Second Half begins Sevilla 1, Athletic Club 0. First Half ends, Sevilla 1, Athletic Club 0. Attempt missed. Mikel San José (Athletic Club) right footed shot from outside the box is just a bit too high. Assisted by Muniain. Attempt missed. Iñaki Williams (Athletic Club) right footed shot from outside the box is close, but misses to the left. Assisted by Muniain. Samir Nasri (Sevilla) wins a free kick on the right wing. Foul by Saborit (Athletic Club). Attempt missed. Iñaki Williams (Athletic Club) left footed shot from the left side of the box is high and wide to the left. Assisted by Beñat Etxebarria with a cross following a corner. Stevan Jovetic (Sevilla) is shown the yellow card for a bad foul. Attempt blocked. Joaquín Correa (Sevilla) right footed shot from outside the box is blocked. Assisted by Stevan Jovetic. Foul by Luciano Vietto (Sevilla). Muniain (Athletic Club) wins a free kick on the left wing. Attempt saved. Saborit (Athletic Club) left footed shot from the left side of the six yard box is saved in the centre of the goal. Assisted by Raul García. Samir Nasri (Sevilla) wins a free kick on the left wing. Attempt missed. Íñigo Lekue (Athletic Club) right footed shot from outside the box misses to the left. Assisted by Beñat Etxebarria following a corner. Raul García (Athletic Club) hits the right post with a header from the centre of the box. Assisted by Íñigo Lekue. Attempt saved. Stevan Jovetic (Sevilla) header from the centre of the box is saved in the bottom right corner. Assisted by Sergio Escudero with a cross. Attempt blocked. Joaquín Correa (Sevilla) right footed shot from outside the box is blocked. Assisted by Samir Nasri. Offside, Athletic Club. Beñat Etxebarria tries a through ball, but Íñigo Lekue is caught offside. Foul by Vicente Iborra (Sevilla). Foul by Matías Kranevitter (Sevilla). Goal! Sevilla 1, Athletic Club 0. Vicente Iborra (Sevilla) right footed shot from the centre of the box to the bottom left corner following a set piece situation. Penalty saved! Stevan Jovetic (Sevilla) fails to capitalise on this great opportunity, right footed shot saved in the centre of the goal. Penalty Sevilla. Luciano Vietto draws a foul in the penalty area. Penalty conceded by Etxeita (Athletic Club) after a foul in the penalty area. Mariano (Sevilla) wins a free kick in the defensive half. Attempt blocked. Joaquín Correa (Sevilla) right footed shot from the centre of the box is blocked. Attempt saved. Stevan Jovetic (Sevilla) right footed shot from the right side of the box is saved in the centre of the goal. Assisted by Vicente Iborra. Vicente Iborra (Sevilla) wins a free kick in the attacking half. Attempt missed. Stevan Jovetic (Sevilla) header from the centre of the box is too high. Assisted by Mariano with a cross. Muniain (Athletic Club) wins a free kick in the defensive half.